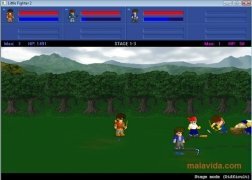 Little Fighter is a game that has been developed by an independent development team, but it has a quality that is really worthy of consideration. 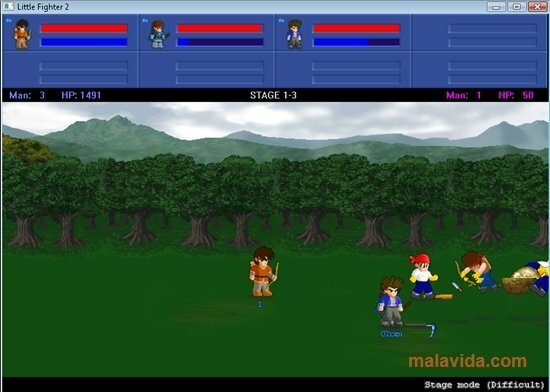 In it, we'll have to manage a character while we battle our way through various screens in which we'll face enemy troops. 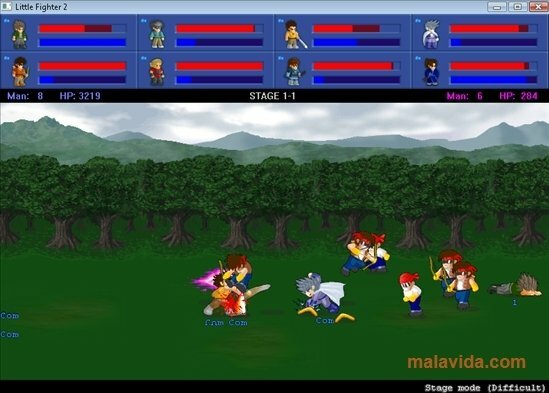 Each character in Little Fighter has a series of skills and features that make them unique, even though the games simplicity is maximum due to the fact that it only has three options available: attack, defense and jump. With these actions and the freedom of movement around the scenario we will have to defeat the waves of enemies that will come to face us. This game is lot more entertaining if it is played with other players, with up to 8 players on a single PC or by means of a local network. 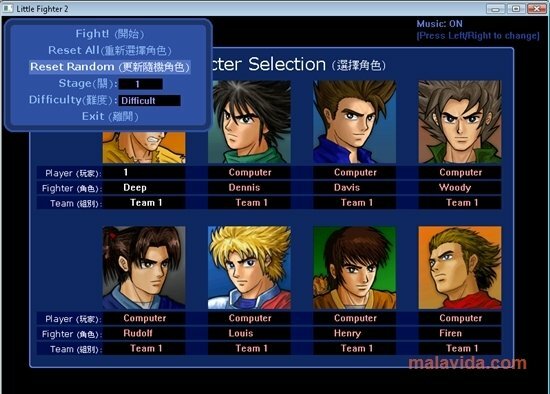 Thus, each one will choose his character to start playing one of the five available game modes. 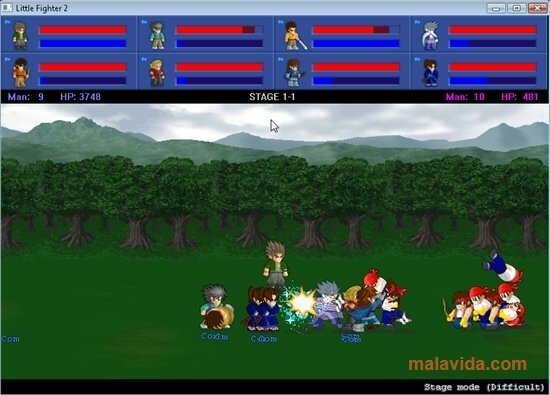 The game graphics aren't as developed as the games playability, because even when the animation and the rest are well developed, the truth is that the designs used for the scenarios could be much better.